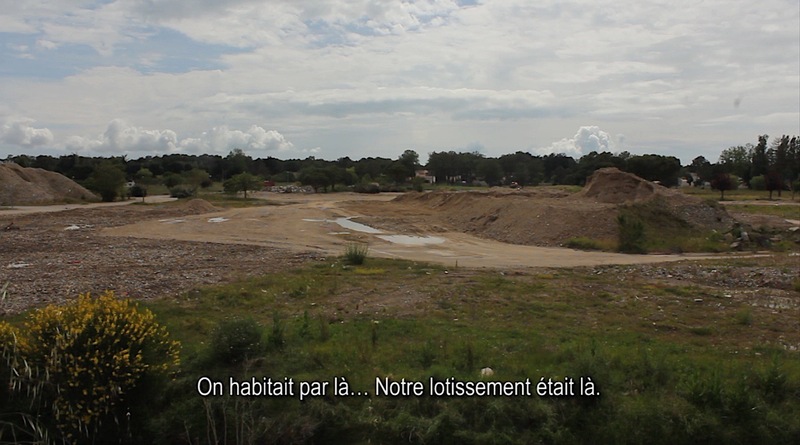 Indonesian anthropologist Rhino Ariefiansyah and Swiss visual artist Marie Velardi filmed the video ALEA in Vendée, France four years after the 2010 storm Xynthia struck the coast, causing severe flooding and displacement. The silent video includes subtitles composed of excerpts from interviews conducted by the artists with displaced people as well as those that refused to move, reflecting their experiences. With subtitles in italics, the artists also imagine what can be learned from the disaster, what can be rebuilt (or not), what should be done with land left behind, and how to live with risk and uncertainty. This work and research was produced by Speap, SciencesPo, Paris, in collaboration with the Nansen Initiative.